Secretary General Lamberto Zannier meets with the team from Lund University, Sweden, finalists of the #UnitedCVE Peer-2-Peer OSCE Regional Competition on challenging violent extremism in Hamburg, 7 December 2016. OSCE Secretary General Lamberto Zannier meets with the team from the Simon Fraser University, Canada, finalists of the #UnitedCVE Peer-2-Peer OSCE Regional Competition on challenging violent extremism in Hamburg, 7 December 2016. 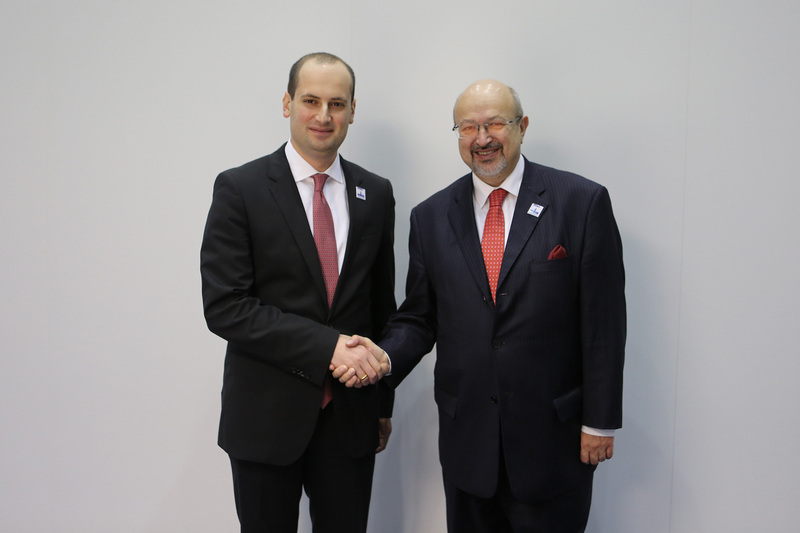 OSCE Secretary General Lamberto Zannier (r) meeting with Sirodjidin Aslov, Minister of Foreign Affairs of Tajikistan, on the margins of the 23rd OSCE Ministerial Council, Hamburg, 7 December 2016. 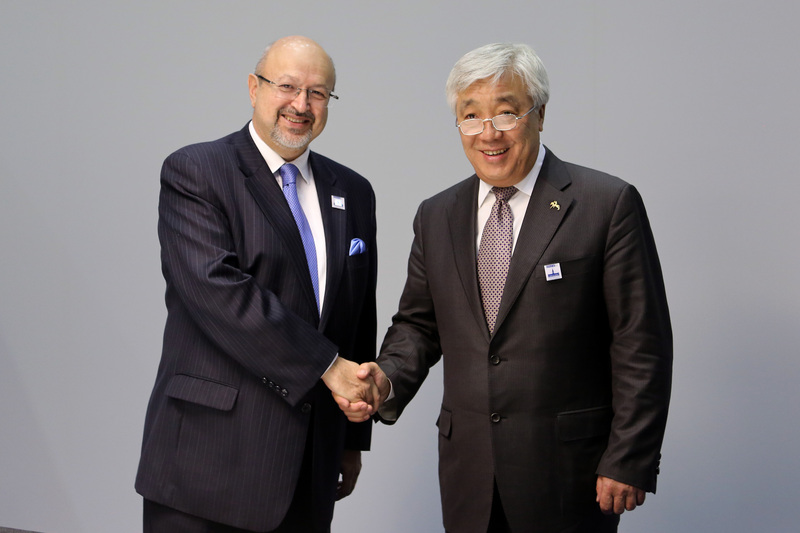 (L-r) Minister of Foreign Affairs and Cooperation of Spain Alfonso Dastis Quecedo and OSCE Secretary General Lamberto Zannier at the "OSCE Youth Speaking Up: Destination Security" side event on the margins of the 23rd OSCE Ministerial Council, Hamburg, 8 December 2016. OSCE Secretary General Lamberto Zannier (center-right) meeting with the Minister of Foreign Affairs of the former Yugoslav Republic of Macedonia Nikola Poposki (c-left), on the margins of the 23rd OSCE Ministerial Council, Hamburg, 8 December 2016. Meeting of the OSCE Ministerial Troika with Mediterranean Partners on the margins of the 23rd OSCE Ministerial Council, Hamburg, 8 December 2016. (R-l) Minister of Foreign Affairs of France Jean-Marc Ayrault, OSCE Chairperson-in-Office and German Foreign Minister Frank-Walter Steinmeier, Head of the Federal Department of Foreign Affairs of Switzerland Didier Burkhalter, and OSCE Secretary General Lamberto Zannier at the side event on arms control on the margins of the 23rd OSCE Ministerial Council, Hamburg, 8 December 2016. At the "OSCE Youth Speaking Up: Destination Security" side event on the margins of the 23rd OSCE Ministerial Council, Hamburg, 8 December 2016. OSCE Secretary General Lamberto Zannier in discussion with NATO Deputy Secretary General Rose Gottemoeller, at the OSCE Ministerial Council in Hamburg, 8 December 2016. 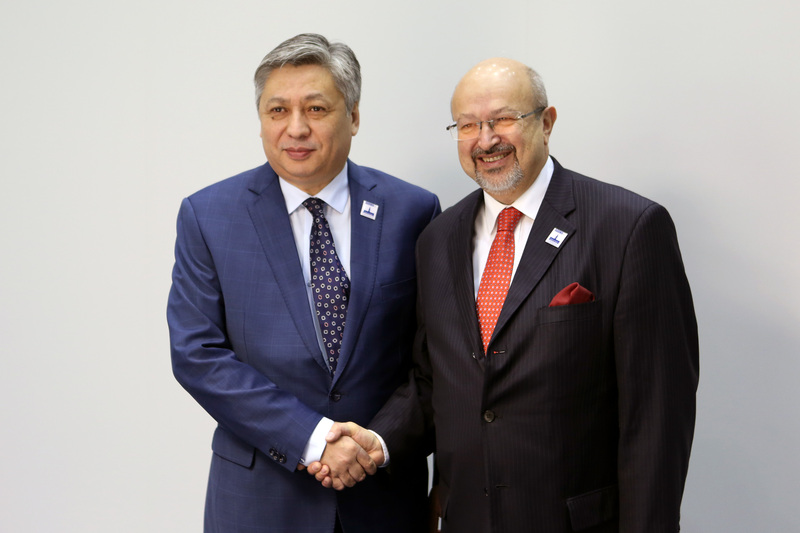 OSCE Secretary General Lamberto Zannier (r) greets the Minister of Foreign Affairs of Kyrgyzstan Erlan Abdyldaev, on the margins of the 23rd OSCE Ministerial Council, Hamburg, 9 December 2016. 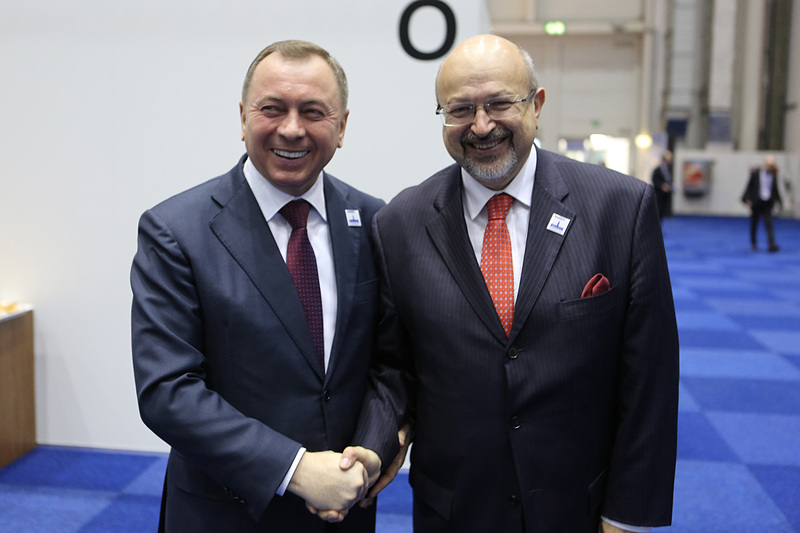 OSCE Secretary General Lamberto Zannier (r) greets the Minister of Foreign Affairs of Belarus Vladimir Makei, on the margins of the 23rd OSCE Ministerial Council, Hamburg, 9 December 2016. 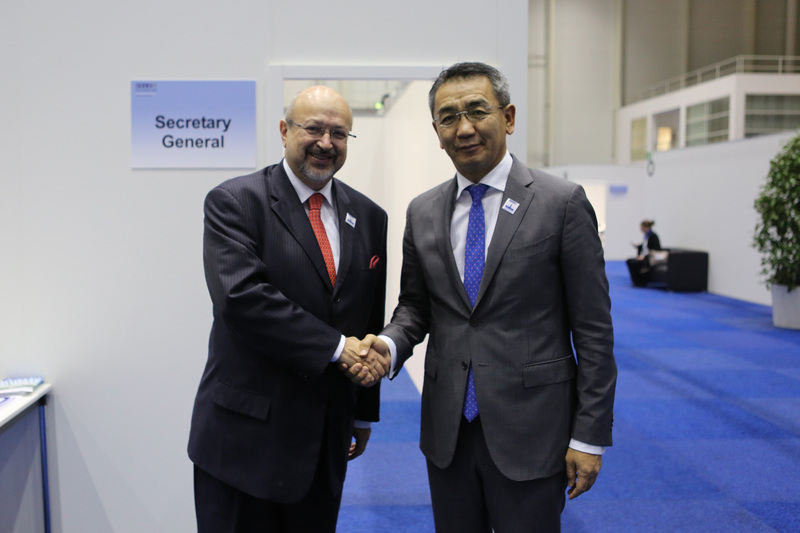 OSCE Secretary General Lamberto Zannier (l) greets the Minister of Foreign Affairs of Mongolia Tsend Munkh-Orgil, on the margins of the 23rd OSCE Ministerial Council, Hamburg, 9 December 2016. 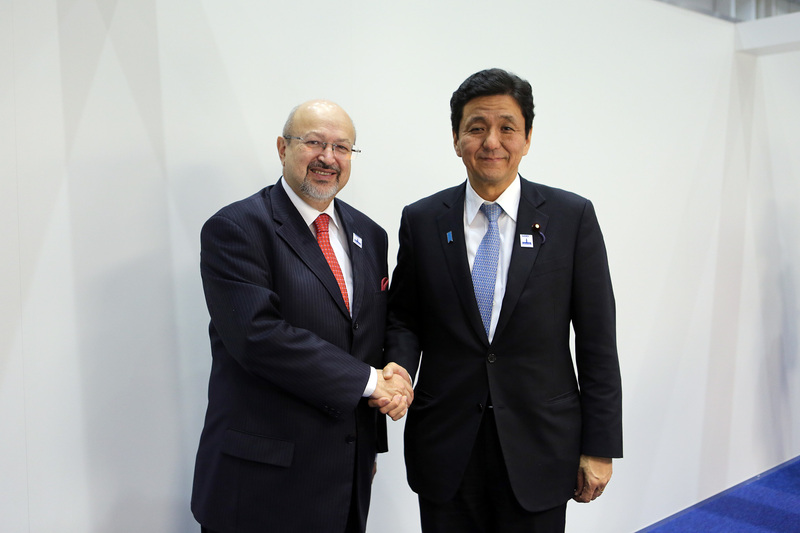 OSCE Secretary General Lamberto Zannier (l) greets the State Minister for Foreign Affairs of Japan Nobuo Kishi, on the margins of the 23rd OSCE Ministerial Council, Hamburg, 9 December 2016. OSCE Secretary General Lamberto Zannier (r) greets the Minister of Foreign Affairs of Georgia Mikheil Janelidze, on the margins of the 23rd OSCE Ministerial Council, Hamburg, 9 December 2016. OSCE Secretary General Lamberto Zannier (r) in discussion with the Minister of Foreign Affairs of Moldova Andrei Galbur, on the margins of the 23rd OSCE Ministerial Council, Hamburg, 9 December 2016. 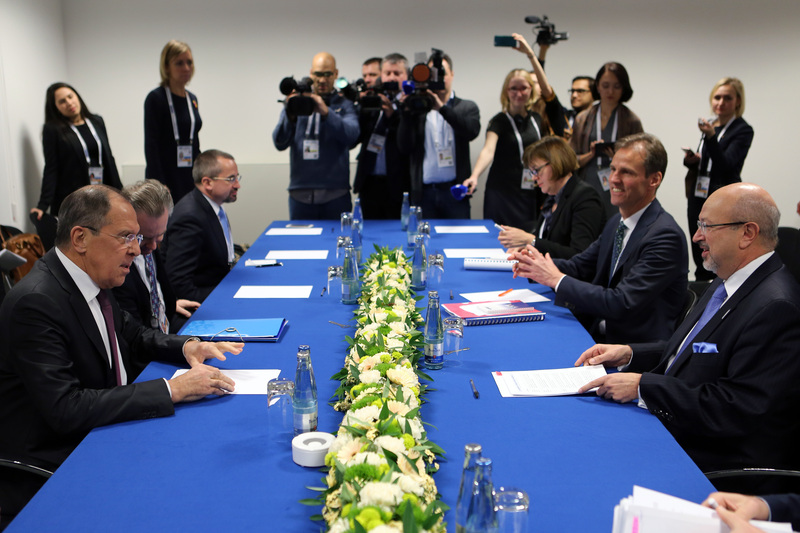 A timeline of the OSCE Secretary General's activities during the 23rd OSCE Ministerial Council, as well as bilateral meetings held alongside the main event, Hamburg, 7-9 December 2016. Throughout the day, the Secretary General had several meetings on the margins of the Ministerial Council with Minister of Foreign Affairs of Kyrgyzstan Erlan Abdyldaev, Foreign Minister of Belarus Vladimir Makei, Foreign Minister of Moldova Andrei Galbur, Foreign Minister of Japan Fumio Kishida and Foreign Minister of Georgia Mikheil Janelidze. At the conclusion of the 23rd OSCE Ministerial Council, more than 10 decisions/declarations were adopted. In the morning of 8 December, the Secretary General spoke at the Opening Session of the 23rd OSCE Ministerial Council. He stressed that we all must work together to tackle the complex and interconnected security challenges we face today, and that the OSCE has the potential to play a unifying role. He stated that returning to the path of pragmatic co-operation requires mutual trust and confidence, which comes through open communication, and called for the need to revitalize dialogue and return to genuine debate and engagement to help find co-operative approaches to shared problems. On the margins of the Ministerial Council, the Secretary General also participated in a number of bilateral meetings and side events and discussions. He met Russian Foreign Minister Sergey Lavrov, Foreign Minister of Kazakhstan Erlan Idrissov, and Minister of Foreign Affairs of Ukraine Pavlo Klimkin. The Secretary General participated in another side event co-organized on the margins of the 23rd OSCE Ministerial Council by the Ministry of Foreign Affairs and Co-operation of Spain and the three OSCE CiO Special Representatives on Youth and Security. Many youth activists from civil society and OSCE youth focal points also joined the meeting. Here, he emphasized the need invest in youth to counter violent extremism and to focus on youth participation and youth mainstreaming in security. Later in the day, the Secretary General moderated a well-attended and engaging side event on arms control, and held productive meetings with Minister of Foreign Affairs and Cooperation of Spain Alfonso Dastis Quecedo and Minister of Foreign Affairs of the former Yugoslav Republic of Macedonia Nikola Poposki. On the morning of 7 December, the Secretary General had a productive meeting with Sirodjidin Aslov, Minister of Foreign Affairs of Tajikistan, where they discussed the role of the OSCE in providing assistance to Tajikistan in border management and in combatting violent extremism and terrorism. Later in the day, the Secretary General had the opportunity to meet with finalists of the UnitedCVE Peer-2-Peer OSCE Regional Competition on challenging violent extremism to hear about their ideas. At the end of the day, and before the official opening of the Ministerial Council, the Secretary General sat down with Holger Dreiseitl, spokesperson of the German Delegation to the OSCE, Nicola Schmidt, German Foreign Ministry, Paul Picard, Deputy Director of Operation Services for the OSCE Conflict Prevention Centre, at the OSCE Café in Hamburg for an informal discussion about the OSCE's work with students and Hamburg residents.